Sometimes the stress, challenges, and transitions of life affects relationship with those closest to us. Family counseling can be useful for addressing conflict among family members, building resilience after the death of a loved one, or coping with challenging struggles such as divorce, substance use, illness, financial setbacks, etc. Whatever your family’s needs are, we will work together to identify goals and a concrete plan of action for growth. At Midwest Center for Hope & Healing, we will work with you and your partner to address the challenges in your relationship and overcome them by helping you identify realistic goals that will open up the lines of communication. 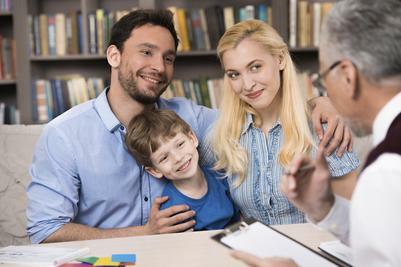 Family counseling is a type of therapy that seeks to improve communication and connectedness in a family system. This system can include multiple generations, or it can focus on your nuclear family. Family therapy looks at the family as an emotional unit, where each individual plays a unique role in the functioning of the family. Counselors often help families to identify what behaviors have proven ineffective in resolving conflict and to explore what alternative strategies build resilience in the family. Not every family member has to be present for family counseling to be effective. When anyone is committed to working on themselves and improving communication, the entire family will benefit. What will we learn in Family Counseling? Many people also find that family counseling sparks curiosity about their family history and the challenges faced in past generations. They often discover that this knowledge helps them be more thoughtful about raising their own children and setting the stage for healthy functioning in future generations.